I've been working on a PSO2 skill simulator for a while now because it seems like there was none in the works. 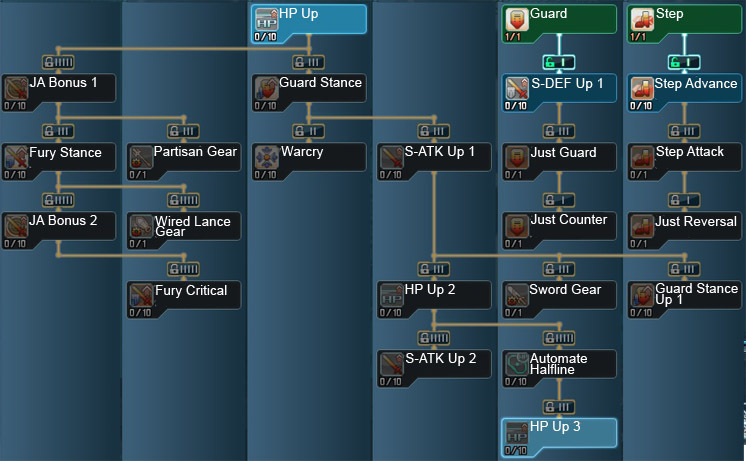 For those unfamiliar with skill simulators, here's how it works: It allows you to try out various SP distributions before you apply them in the game, meaning that you don't have to calculate anything in your head. It also allows you to share your builds with others which should become useful later on when discussing various skilling options. Go thank AIDA for hosting it! There might be bugs flying around, please report them here! I'll try to fix them asap unless I get lazy. Last edited by Gardios; Aug 11, 2015 at 05:23 PM. Wow nice work! Will be really helpful down the line. nice job. all it needs now is the skill descriptions. Fix to this will come later since I have to change stuff around and redo some graphics for it. In the mean time use IE if possible. Will probably have to wait until OB, but it will definitely be done. Unlikely that this will be implemented. Something like that is much better as a full fledged character simulator and I highly doubt I'll tackle that on - it's just too much work for me. Last edited by Gardios; Jun 15, 2012 at 09:37 PM. Woah I had asked this for a long time ago and no one seem interested in making one, thanks so much for doing it! Thanks for the translations. I'd thought that was probably JA under lightning. From the looks of things, I'm guessing the majority of FOs will go deep into fire, for the massive boost it gives to charged output. That said, it only takes 14 points to grab PP Charge Revival, and you know the cap is going to go up from 30. 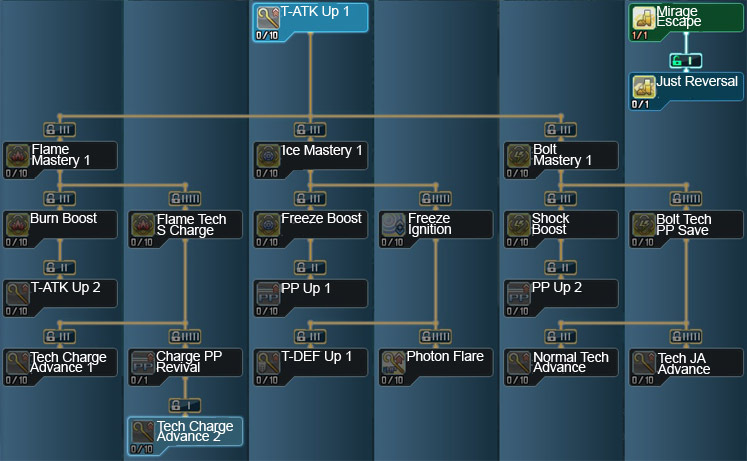 I'm curious whether boosting max PP also affects the base regen rate like it does in PSP2. Harder to get significant differences in this, so needs testing.